Is Rebecca Bynum Right? 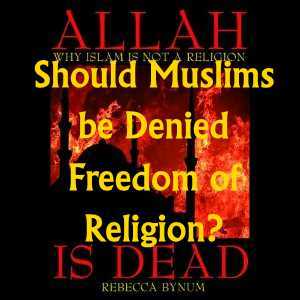 Should Muslims be Denied Freedom of Religion? I agree with part of this. The Constitution does protect freedom of religion within certain bounds, and it has limited religious practices in the past. She gives the example of not allowing Utah into the Union until the Mormon church ended the practice of polygamy. This is a legitimate restriction on religious freedom. But I think she takes the issue in the wrong direction. The issue should not be over what gets to count as a religion; it should be over which freedoms are guaranteed protection and which are not. Freedom of thought, freedom of expression, freedom of assembly, and freedom over personal choices should generally be unrestricted. But practices that infringe upon the rights of others or pose a serious harm or danger to society should be restricted. For example, human sacrifice should not be legal. Various religions in the past have practiced human sacrifice, but freedom of religion does not give anyone the right to practice human sacrifice. What freedom of religion comes down to is the freedom to believe in any religion, the freedom to express any religious beliefs, the freedom to not be discriminated against because of your religious beliefs, the freedom to gather together for religious services and activities, and the freedom to engage in religious practices that do not harm others and do not violate laws meant to protect people. Freedom of religion is not diplomatic immunity to do anything your religion asks of you. Let me go into more detail on how freedom of religious practice may be limited. No religious body should be recognized as having any legal authority whatsoever. Whatever authority a religious body imposes on its followers may apply only when the members voluntarily accept it and it does not ask them to do anything illegal. For example, if a Catholic priest tells a parishioner to say 50 “Hail Marys” in penance for a sin, and the parishioner voluntarily complies with this, that falls within legitimate freedom of religious practice. But if a Catholic Inquisitor tried to torture someone for heresy, that would fall outside the limits of legitimate freedom of religious practice. If the Catholic church chooses to excommunicate someone for heresy, that falls within legitimate religious freedom, because a religious body should have the authority to decide who gets to be a member. But if Catholics choose to discriminate against non-Catholics, such as by refusing to hire them or sell to them, that may fall outside legitimate freedom of religious practice. If a Muslim woman chooses to wear a veil and a hijab, that, under most circumstances, falls within legitimate freedom of religious practice. But when the government has overriding reasons for needing to visually identify someone, it does not. If a Muslim professes that there is no God but Allah and that Mohammed is his prophet, prays five times a day facing Mecca, gives alms, fasts during Ramadan, or makes a pilgrimage to Mecca, that all falls within the limits of religious freedom. But if a Muslim commits honor killings of family members, or kills infidels, or engages in acts of terrorism, that all falls well outside the limits of religious freedom. It is disingenuous to say that the Founders meant to define religion in a Judeo-Christian context. For one thing, they were intent on ending the abuses of Christian authority, such as the Inquisition and witch trials. For another thing, several of them were not orthodox Christians. Thomas Paine, Ethan Allen, and George Washington were deists. They believed in a God who had created the world but had not revealed himself through the Bible or any other revelation. Paine and Allen wrote very strong criticisms of the Bible and of Christianity. Paine wrote The Age of Reason, and Allen wrote Reason, the Only Oracle of Man. Thomas Jefferson, who wrote our Declaration of Independence, was a Unitarian who edited the miracles of Jesus out of the New Testament in what is known as The Jefferson Bible. One more thing is that the United States was the first nation in recent history to ground the authority of government in the people rather than in the divine right of Kings. The United States was preceded by many European countries that relied on ecclesiastical authority to establish the right of the rulers to rule, and the United States completely broke away from this long-standing tradition. When they put Freedom of Religion in the Bill of Rights, it wasn’t to give favorable status to any kind of religion. It was to give individuals the freedom to choose their religious beliefs without the threat of institutional coercion. One very important thing to understand is that freedom of religion is a right guaranteed for individual people, not a right given to any religious body or institution. It does not give any religious body any rights its individual members do not already have. In particular, it does not cede any of the government’s monopoly on force to religious institutions. When it comes to passing laws, enforcing laws, and judging cases, all authority for that remains with the government. No religious body gets to impose its laws on non-members. For example, Muslims do not get to create Sharia-law zones. No religious body even has the authority to impose religious laws on its own members with any kind of legal force. For example, the Catholic church may not impose punishments on Catholics who use birth control. It is free to excommunicate them, but it has no legal authority to impose real punishments on them. Let’s now consider a hypothetical example. Suppose that the Pope crowns someone as King of the United States, and many Catholics choose to follow this so-called King rather than the elected United States government. If he tells them to break the law, and they do, they will become criminals. If he tells them to overthrow Washington, and they attempt to do this, they will become traitors. It doesn’t matter that they are religiously motivated. Freedom of religion doesn’t extend this far. This example shows that following some religious beliefs can make people into criminals or traitors, and when this happens, it is appropriate for the government to treat them as criminals or traitors. When American Muslims consider the United States an enemy, they are in danger of crossing the line between protected religious expression and treason. When they align themselves with al-Qaeda, the terrorist organization responsible for the 9/11 attacks, they are traitors. It doesn’t matter that al-Qaeda is a religiously-inspired organization. Religious freedom doesn’t include freedom to make yourself an enemy of the state. Religious freedom is not another right above and beyond the other rights I’ve previously mentioned, these being freedom of thought, freedom of expression, freedom of assembly, and freedom of personal choice. Freedom of religion is merely a consequence of these other freedoms. It does not entitle anyone to impose their religious ideals on anyone else, not even if their religion teaches that the government should be theocratic. Theocracy is antithetical to what the United States is about, and any American citizen who takes up arms against the United States to promote theocracy is a traitor. So we don’t need to redefine religion to address the threat from Muslims who wish to overthrow the United States. We just have to recognize the limits of religious freedom. I have the freedom to be any religion I choose, but I do not have the freedom to impose my religious beliefs on others. This is the natural limit on religious freedom, because when I do have the freedom to impose my religious beliefs on others, they lack the same religious freedom I enjoy. For religious freedom to be universal, no one’s religious freedom may include the freedom to impose their beliefs on others. When I say impose, I mean by force. I am free to persuade others to my beliefs by providing reasons for my beliefs. I am free to explain to others why their beliefs are wrong. I am even free to mock people for having silly religious beliefs. But I am not free to threaten someone with death, torture, or loss of property if he does not convert to my religious beliefs. That would violate his religious freedom. So that’s where mine stops. And that’s where everyone else’s religious freedom must stop too. Christians may not require government officials to confess to any particular religious beliefs. Muslims may not impose Sharia law. Catholics may not kill heathens or torture heretics. This has been the main reason Bynum wants to deny that Islam is a religion. But there is another reason. She wants to dissociate it from Christianity, because there are critics of religion who lump Christianity and Islam in the same camp. She wants to assert that Christianity is something good and worthy of protection while Islam is something evil and unworthy of protection. I will address this more in a future post. As far as addressing the threat of militant Islam goes, I don’t think we need to claim that Islam is not a religion. There is no need to deny Muslims freedom of religion. All we have to do is recognize the limits on that freedom. 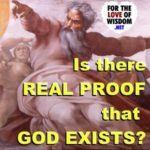 Is There Real Proof That God Exists? 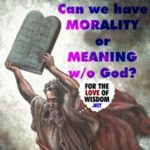 Morality or Meaning Without God? 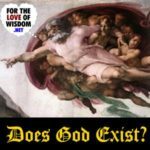 Former Christian, now a Humanist Freethinker with a Ph.D. in Philosophy. ← Are Liberals or Conservatives Happier? 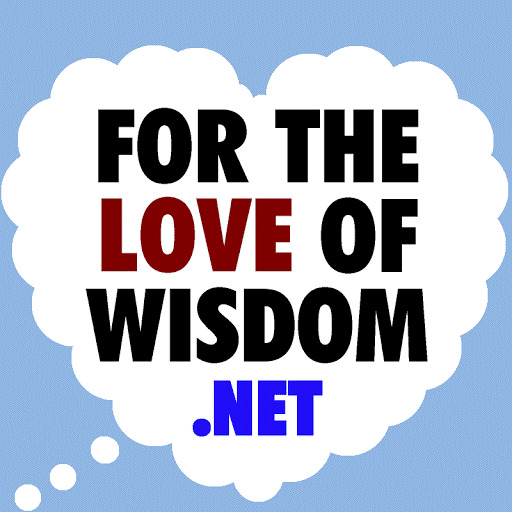 Copyright © 2019 For the Love of Wisdom.